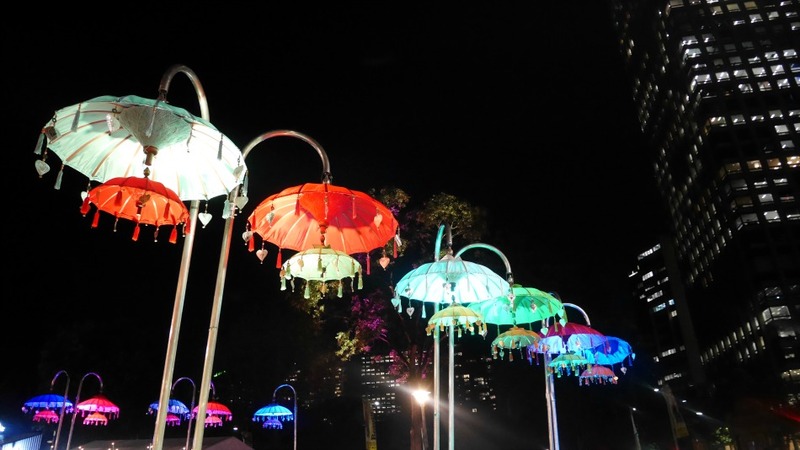 The past few weeks have seen a heady scent of smoked barbecue food wafting through the streets of Sydney's CBD. 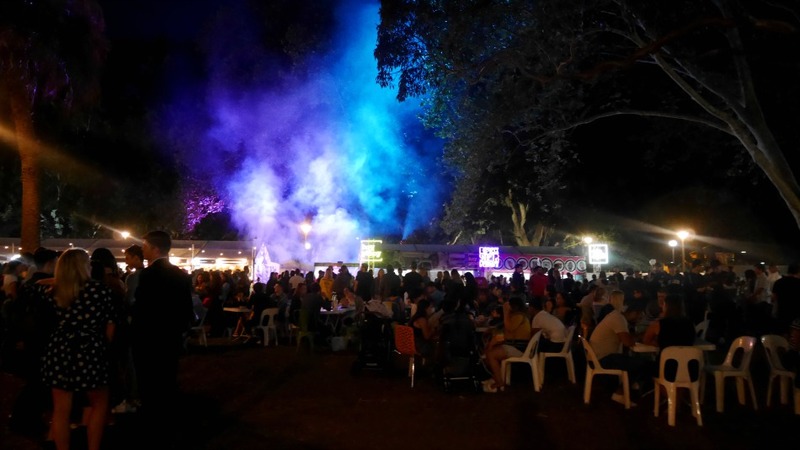 Every time I walked from the gym to the bus stop I would longingly stare at the crowds walking into the Night Noodle Markets in Sydney's Hyde Park, and then finally, finally, I got to be one of those members of the crowd. 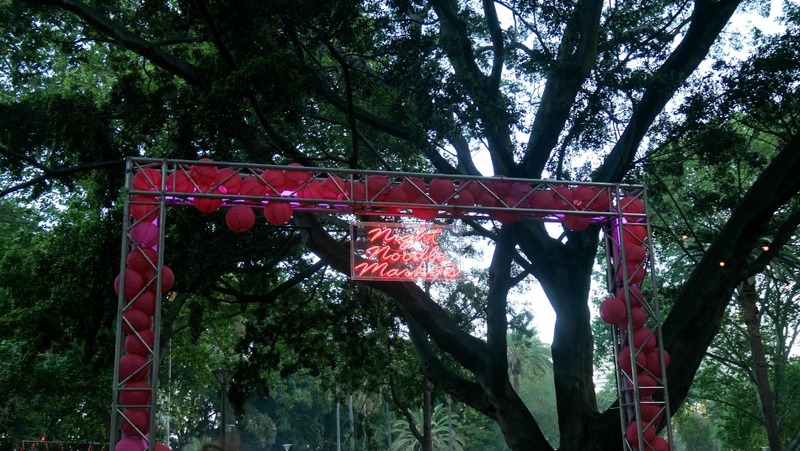 A couple of weeks ago Nikki and I decided to pop along to the Asian hawker market and sample some of the famous foods that were being served at the markets. We met after work on the Thursday and joined the queue to get in, and although the queue was huge, it moved super quickly as the security staff were just doing a quick bag-check. 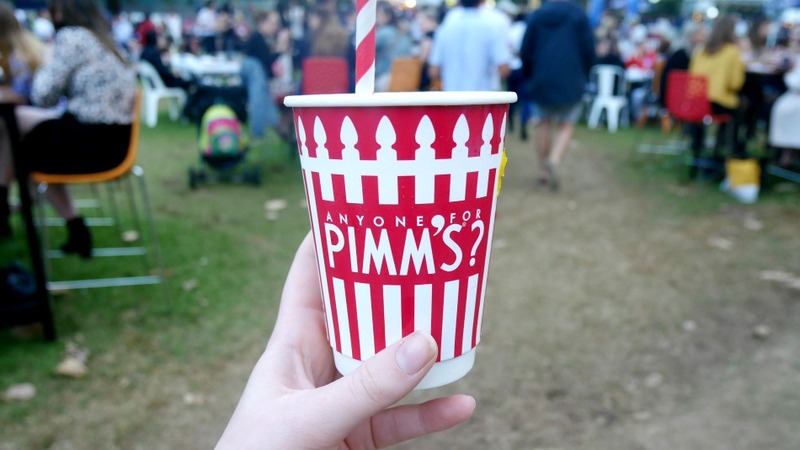 Our first stop was the bar for a refreshing glass of Pimms, to celebrate summer finally being on its way. Once our Pimms was taken care of, we needed some savoury food to soak it all up and satiate our hungry rumbling bellies. 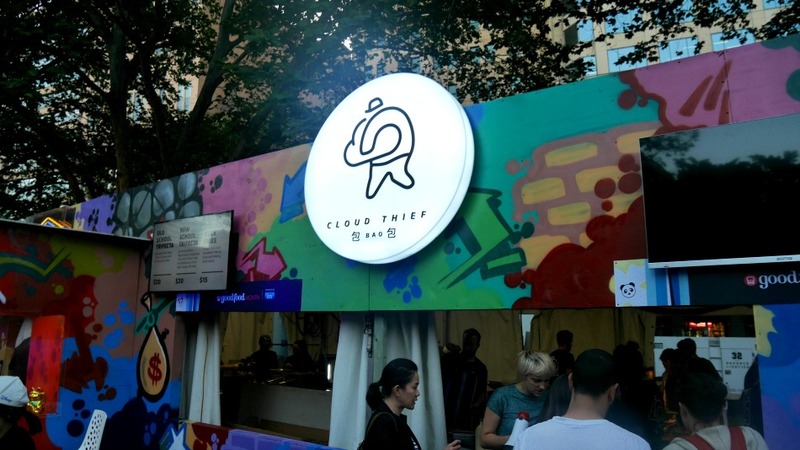 Our first food stop was Cloud Thief, who were selling the most incredibly fluffy Bao buns. They were $20 for three, which we thought was pretty reasonable. I really wanted to try out the Waterman's Lobster Rolls next, as Lobster Rolls are one of the foods I really miss from the UK. We're so lucky in London to have so many restaurants serving epic Lobster rolls, but unfortunately I haven't found them to be quite so popular on the menus in Sydney restaurants. I chose the fresh lobster coated in brown butter and chives, but thought $20 for two tiny brioche buns with a small amount of lobster was a little bit excessive. 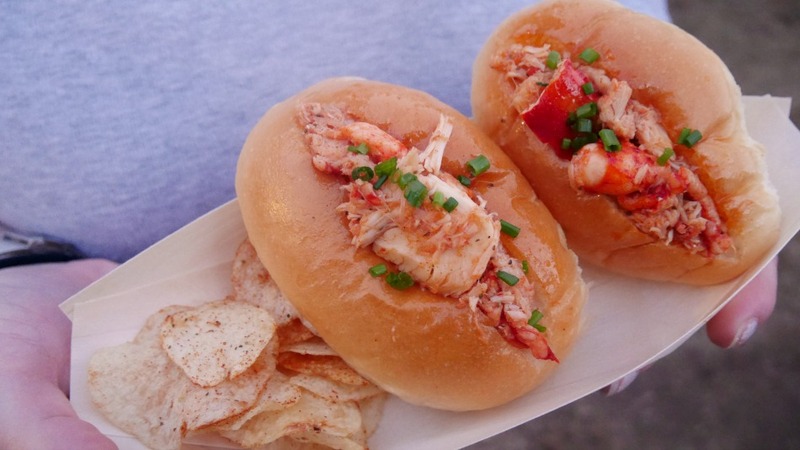 It would have been nice to have one big proper lobster roll, or make the price a little cheaper. 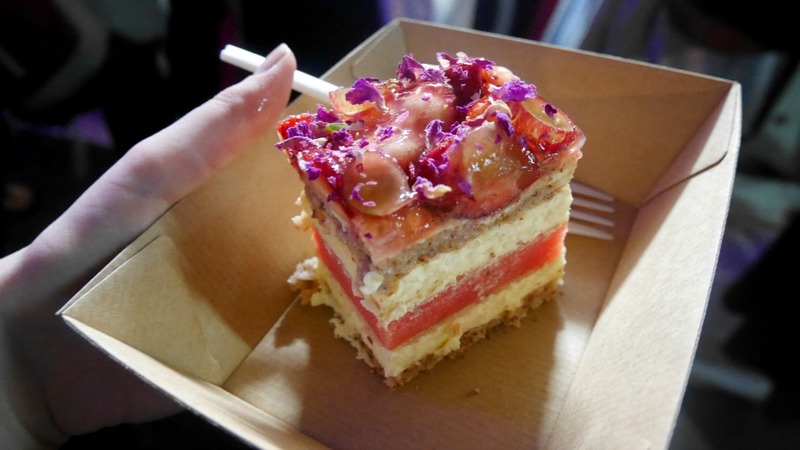 After my lobster rolls I was then ready for something a little sweeter, so we joined the queue for Black Star Pastry, the legendary Sydney bakery famous for their Watermelon cake. After an entire year of hearing about this darn cake, it definitely didn't disappoint - it was honestly one of the most incredible cakes I've ever had. It isn't really a cake though and is more like a pastry, with pastry, rosewater cream, watermelon, and strawberries. It was so worth the wait, and was definitely the highlight of the markets for me! Despite being eaten alive by mosquitos, and the overpriced lobster, and crazy queues for food, we had a really fun time and I'd definitely go back again next year! 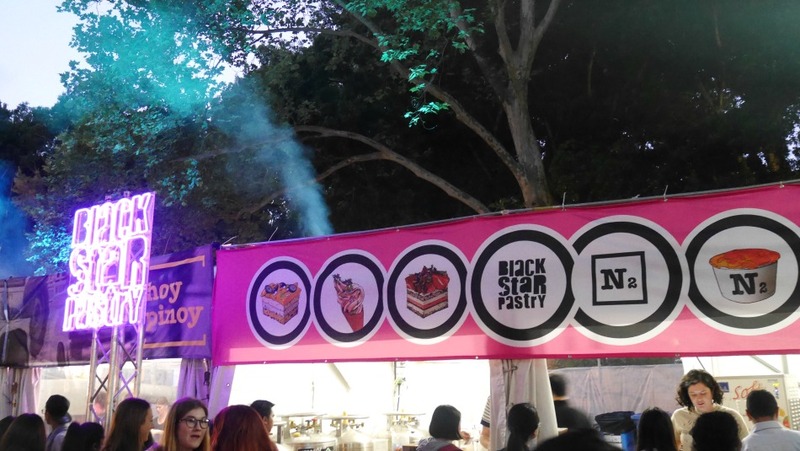 I really wanted to go back for a second time this year (mainly for the watermelon cake) but I'm back on my Keto diet now, and there wasn't really anything Keto friendly there (I know, I'm so boring, right). Unfortunately the markets finished this weekend, but they'll be back next year, and I'm sure bigger and better than ever (and hopefully a little cheaper too)! Find out more info here. This totally sounds like my kinda market! 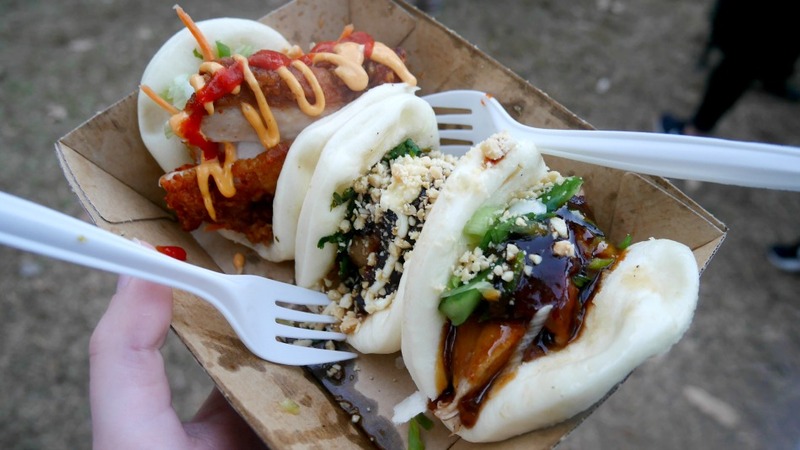 The Bao buns look amazing!